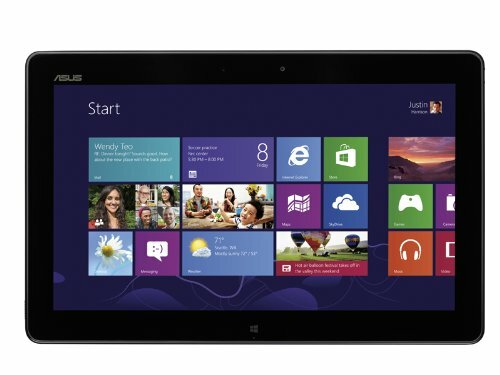 Asus Vivotab TF810C: a $299 bargain or money pit? It began, as these things often do, innocently enough. Perusing the TabletPCReviews forums, I spotted a post that said the Lenovo Thinkpad 10 tablet was finally available for sale in the U.S. When that Wacom-equipped tablet was first announced, it was expected to be priced around $600, so I followed the link to see where the final price had ended up. I was shocked to see that Lenovo had settled on $729 for the Atom-powered, 10.1-inch, 2GB RAM, 64GB storage device. Even with a 1920x1200 display, that price seems totally unrealistic. I tweeted as much and someone on my feed inquired about the Atom processor. I had ignored all Atom-based devices when Windows 8 tablets first began appearing. Their reputation as slow, netbook class processors convinced me to look elsewhere back around the time the Surface Pro 1 was first released. But the question gnawed at me: is an Atom-powered device with only 2GB of RAM sufficient to run a graphics application without unacceptable lag? I began googling around for reviews of prior Atom tablets when Google or Amazon, in their algorithmic wisdom, served up an ad for the Asus VivoTab TF810C for only $299. When it was first released in late 2012, the 810C listed for just under $800. And the specs compared very favorably with the Thinkpad 10: 11.6-inch screen, 1366x768, 2GB RAM, 64GB storage, Wacom digitizer, Atom processor. Yes, this Atom is a dual-core Z2760 running at 1.8 GHz vs. the Thinkpad 10's Z3795 quad-core, but we're talking a $500 difference here! My curiosity was piqued, but I was able to resist the temptation and went about my business. Later that day or the following, Asus released its new Wacom drivers for the VivoTab Note 8. I'm no fan of 8-inch Windows 8 tablets because running desktop applications on such small screens can be an eye-straining exercise in frustration. The AVTN8 was also hurt by a very poorly calibrated digitizer, with very inaccurate corners and other dead spots. But once I ran the new 81-point calibration found in that driver, my opinion of the device significantly improved. Yes, you'll still go blind trying to run crowded desktop UIs, but with cleaner designed apps like Sketchbook Pro, the AVTN8 is now a lot of fun to use. Another Twitter follower wondered whether the new drivers would work on the old TF810C and I was a goner. Now I simply had to purchase one of these bargains to find out for myself. The Asus VivoTab TF810C packaging is very professional: nothing bargain basement or closeout about it. The 810C arrived last weekend and quickly consumed a large portion of the time I wasn't supposed to be spending on tech. 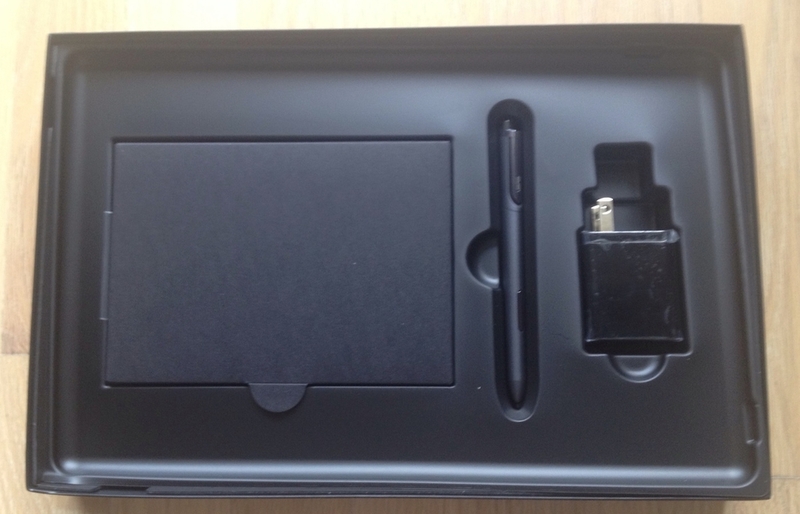 Beneath the tablet is more elegant, well-designed packaging. Unboxing the device was one of the most pleasant experiences I've had recently (and you know I've unboxed a lot of gear). Spare nibs? Cleaning cloth? How thoughtful. The Asus VivoTab TF810C pen is about the size of the Fujitsu T5000. It comes with five spare nibs and an extractor. There is also a cleaning cloth. The USB dock/power connector on the tablet is non-standard so it requires a USB dongle to connect peripherals. 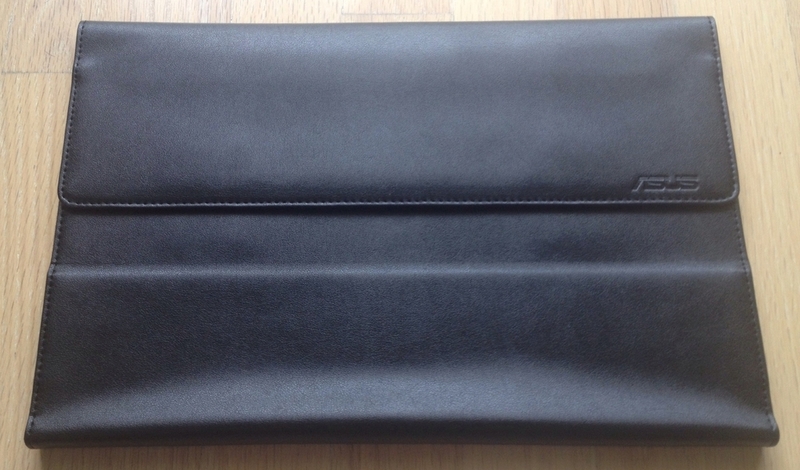 The tablet even ships with a very nice faux leather sleeve that can be configured as a stand! I was convinced that I'd uncovered the biggest bargain ever. The sleeve will definitely keep your tablet out of harm's way. It includes a pen holder too. The tablet is slightly thinner and lighter than the Surface Pro 3 and almost half the thickness of the Surface Pro 2. The tablet has two openings along the bottom edge for the discontinued dockable keyboard. The rightmost slot is the USB connector which requires a non-standard multi-pin connector similar to those on older iPhones. To attach peripherals, a USB adapter dongle is included. The back of the tablet has a nice brushed finish that is only marred by the unsightly stickers manufacturers insist on placing on their devices. The TF810C ships with Windows 8, so I knew I was in for a long stretch of updates before I could test the tablet. But I never imagined it would take as long as it did. This process is so painful, in fact, that it's almost enough to recommend that you forget about this or any other older device. My Twitter followers read every sordid, excruciating detail in real time as I haltingly brought the TF810C up to date. Windows lies when it tells you the updates it needs to install. There were at least 150 updates to install before I could think of updating to Windows 8.1. By default the operating system will download and install these updates in the background, but that process could take days and severely cripple performance. Instead, I forced the tablet to download and install the updates, which took more than 12 hours. I then tried to install Windows 8.1 but I kept getting a message that the tablet was incompatible with that software. I found a driver package on the Asus site which apparently solved the compatibility issue and I then installed Windows 8.1. After that, of course, there were dozens more 8.1 updates to install before the tablet was fully up to speed. All told, this rabbit hole had already taken 24 hours to traverse and I still didn't know whether the tablet was adequate for sketching. Then I committed a fatal (no exaggeration) mistake: I installed and ran the AVTN8 pen drivers and proceeded to kill my pen sensor. No matter what I tried, I could not get the digitizer to register within five inches of the pen. Desperate, I even refreshed the tablet all the way back to Windows 8, undoing a full day's work. No difference. The pen was unusable. The replacement arrived Tuesday and I started the update process again. Still slow, but amazing how much faster things can go once you know the missteps to avoid. I turned off automatic Windows updates immediately. No sense tying up the wifi. Next, I patched the tablet's BIOS with the Asus Live Updater. Then I ran Windows Update from the desktop control panel. At least 50% of the updates are security fixes, so I decided to do the installation manually, deselecting all the security related items. I know this sounds crazy but it was better to start downloading and installing one update at a time, often waiting for the tablet to reboot in between updates, than to watch the endlessly cycling progress bar, not knowing if anything was actually happening. I gradually started doing five updates at a time and ended up with the last ten at once. All told, the process took under 8 hours. Next, I installed the Asus driver pack and then installed Windows 8.1. I let Windows update itself the following morning and finally installed the official Wacom enhanced tablet pc driver sometime that afternoon. Calibration was interesting to say the least. Unlike the AVTN8, the TF810C has definite problem zones that can't be adequately addressed by the 25-point calibration. The upper left corner in particular was almost impossible to reach. I had to tap repeatedly all the way out to the second ring of the bullseye before a tap was registered. There were several other problem spots around the edges. Fortunately, the end result is adequate and not too much of an issue for me as I don't work in the absolute corners. The cursor is accurate enough that it isn't a problem to trigger menu items in the upper left or unhide the taskbar at the bottom of the screen. A Facebook follower reported that she has been unable to run the advanced edge calibration on her 810C because no matter what she does it will not respond to any taps in that upper left corner. Sketching in Clip Studio Paint. Not pushing the hardware too hard, the drawing experience feels comparable to any other Wacom tablet pc. So far I've tested the tablet with Clip Studio Paint, ArtRage 4, Sketchtime, Sketchable, and Bamboo Paper. In all cases, I've been pleasantly surprised by the drawing and writing experience. I won't bother installing Photoshop or others because I already know that they will run but easily bog down. With its low RAM, working at high resolutions or with many layers will quickly slow down the device. The slow processor, low memory or slow SSD all make installations seem much longer than usual. But at the end of the day, the TF810C offers a very acceptable sketching experience. Those of you who are especially cash starved may want to consider adding one to your arsenal or gifting one to a kid. Be aware that the dockable keyboard is no longer available, so you'll need to find a suitable bluetooth alternative or use it 100% of the time in tablet mode, which is never easy with Windows tablets, given the quirky behavior of the on-screen keyboard. If you have patience and don't expect to work in 600dpi with a huge number of layers, the TF810C might be a bargain after all.